23. 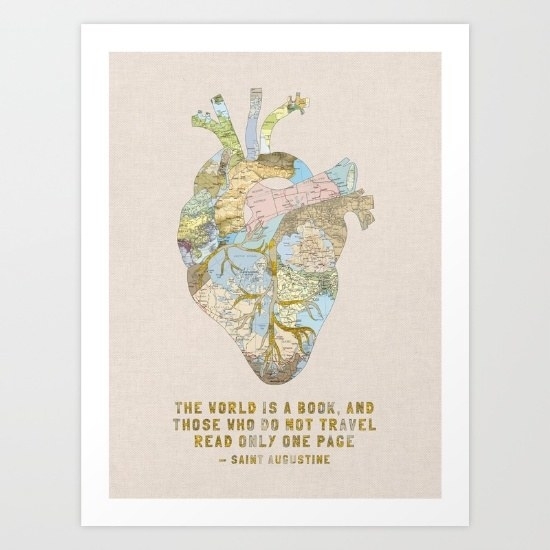 A lovely print that illustrates an adventurous heart and encourages you to never stop traveling/reading. Get it from Society6 on Amazon for $16.71 + 5.00 shipping. 24. 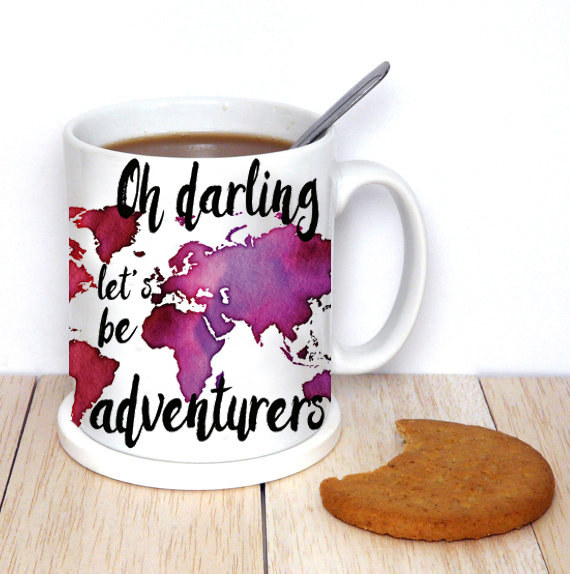 A ~darling~ mug that hints at a special travel buddy. Because we could all use some help with directions, tbh. Get it from Exaltation on Etsy for $18.95+.